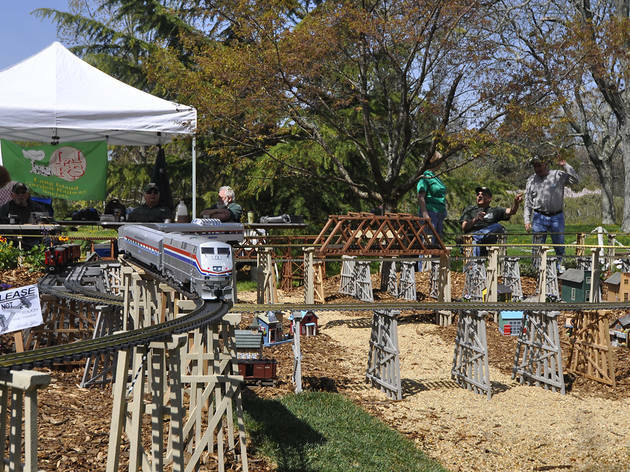 Watch model trains travel through an outdoor display complete with a mini World's Fair Unisphere. 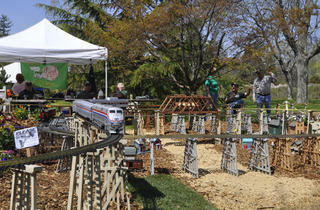 Hop on the "express" for a ride through parts of the Garden at an additional fee of $5 per person, per ride. All ages.